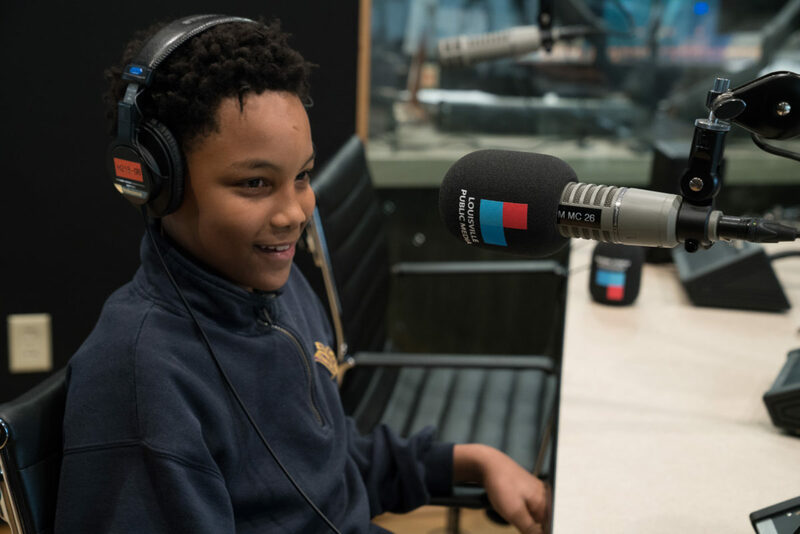 This year, as part of The Next Louisville, WFPL is highlighting the stories of youth in our community. Some of that is through long- and short-form stories about kids, teenagers and young adults and their interests, achievements and challenges. 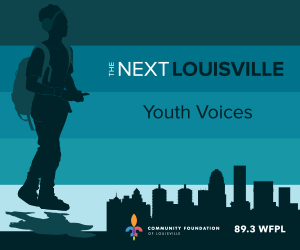 You’ll also hear more first-person stories about and by young people in Louisville. 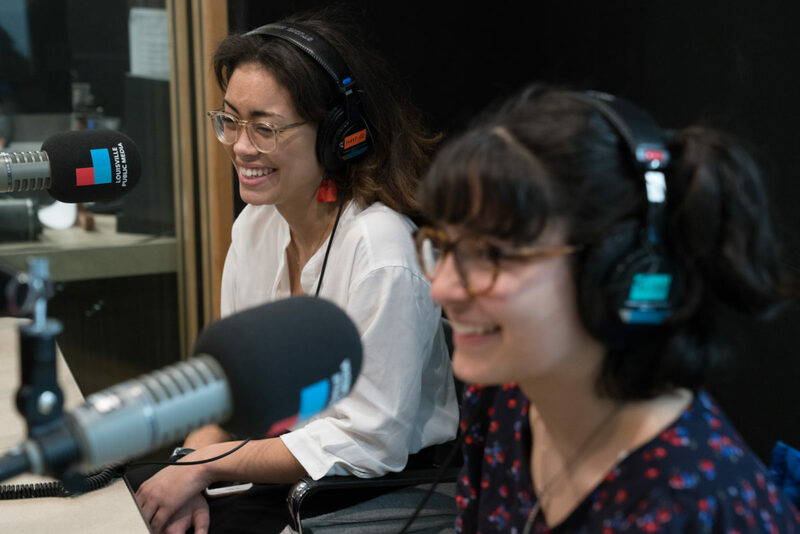 As part of this project, we’ve planned a different kind of platform to let youth talk about issues that matter to them. 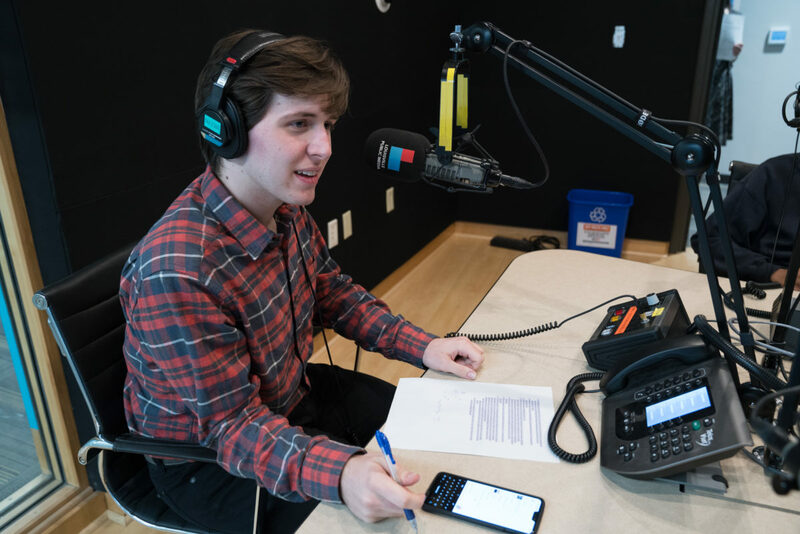 Six youth talk shows are planned this year, all focusing on different topics, in partnership with WE Day Kentucky. 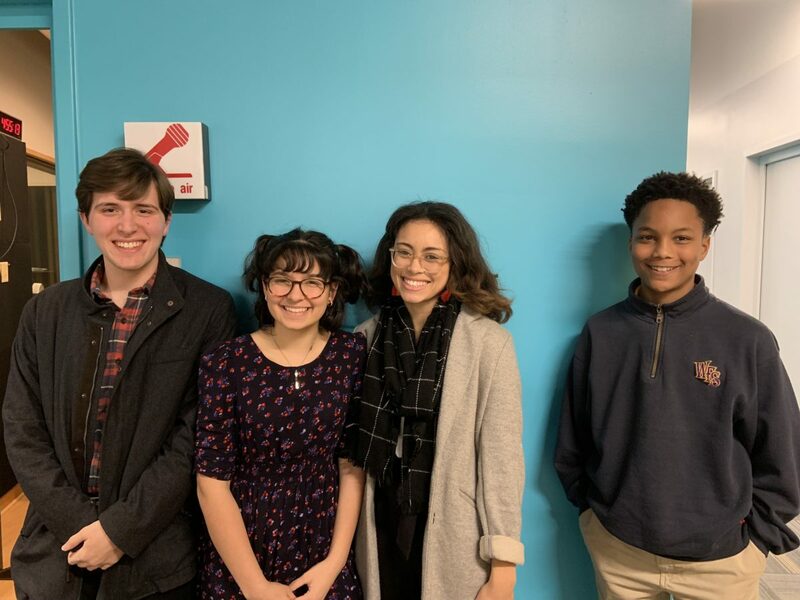 This month, four young people who are all active in Louisville’s community service scene got together to talk about volunteerism and activism. The discussion was moderated by Forest Clevenger, a senior at DuPont Manual High School. 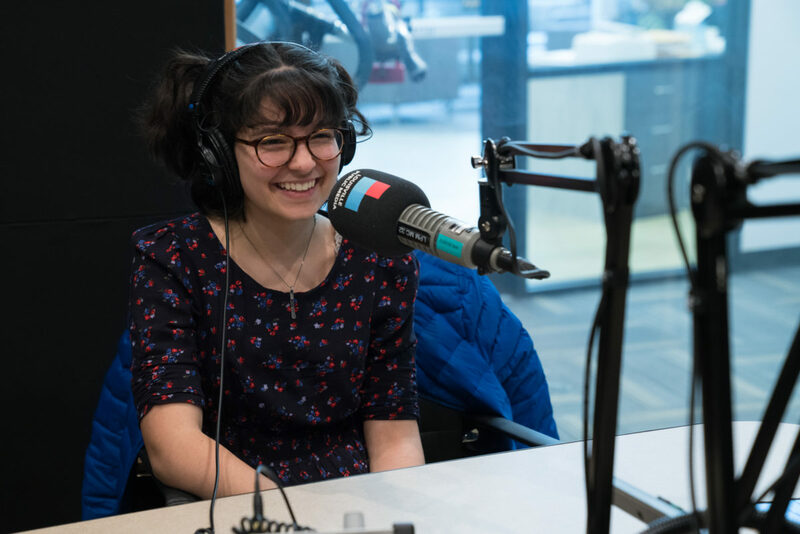 Joining him in the studio were Mandala Gupta VerWiebe, a sophomore at Manual; Trey Brown, an eighth grader at the West End School; and Kayla Payne, a sophomore at the University of Louisville. Forest Clevenger, Mandala Gupta VerWiebe, Kayla Payne and Trey Brown. Photo by Erica Peterson. The conversation will air Thursday at 8 p.m. on 89.3 WFPL; you can listen to it in the player above or read highlights below. What kinds of volunteer work have you done? Trey Brown. Photo by J. Tyler Franklin. Do you think service ought to be a part of our culture? Forest Clevenger. Photo by J. Tyler Franklin. What are the different types of service for you? Kayla: “I think that there’s direct service and indirect service. So you have these things like philanthropy, which is really important to raise money for organizations. And then you have direct service, which is actually being on the ground and sorting clothes or planting gardens. Do you find more fulfillment from direct or indirect service? Mandala Gupta VerWiebe. Photo by J. Tyler Franklin. Mandala: “I really think that it makes you feel great when you, you can do service, like you can sort clothes, and even though you’re seeing yourself sorting the clothes, and you don’t see the people who are getting the clothes, that feels great. But at the same time, going and speaking to your representatives makes you feel so powerful, because you are at the same time as advocating for others, you’re taking a stand. Because I feel like part of volunteering is that you’re willingly sacrificing something, whether it’s time or whether it’s labor, or whether it’s courage or something like that. Kayla Payne (left) and Mandala Gupta VerWiebe (right). Photo by J. Tyler Franklin. How important is getting thanked or recognized for your service?